Dates: Every Monday during term time. FIRST Infant Feeding Group is somewhere you can drop in for a chat and a drink with other pregnant women and new mums. You will also find skilled help and support for any infant feeding challenges you may have, be it breastfeeding, expressing or mixed feeding. You pay for a block of six weeks, but you choose when you drop in! You can come on a weekly basis to be supported and socialise, or you can just drop in when you need support or advise. This way you get support when you need it, you may decide to attend weekly or spread your sessions out over a year, the choice is yours. 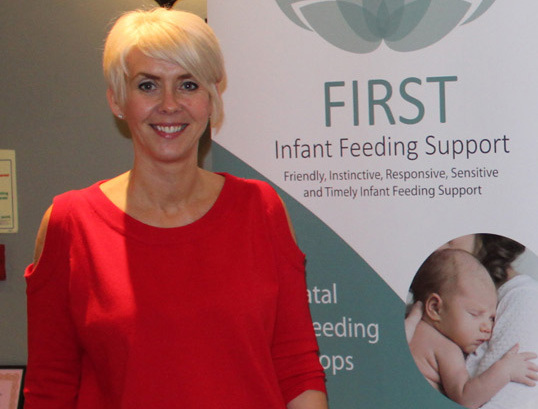 Sally is passionate about supporting you to have the best possible start to breastfeeding and to ensure you are able to continue for as long as you wish. The group runs every Monday (term time) from 26th Feb 9:30-11:30 at Indulge Hornbeam Park.